I caught these guys completely unaware. One artillery barrage later & they're in total disarray. Enemy arty also barraged me, but tracks tanked most of it. Once again, cheers for doing this Pansy! Please may I have Metallic Blue (#0828CC) for AMX 30? p.s. Where do I put the files? hey Pansy how do you feel about a crimson crusader red Tiger or Tiger II? Edited by SiliconSidewinder, 15 December 2018 - 04:15 PM. I think this year I'm going a bit out of order, which I feel bad about. Mind you, I'd feel worse not uploading anything at all tomorrow because I'll be power-grinding Indien-Panzer with these Christmas bonuses, so I did two of the easier ones tonight. 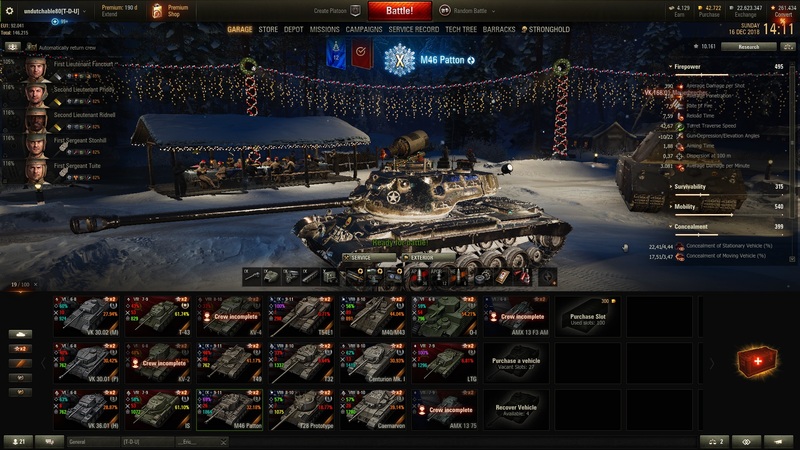 I'll be uploading them tomorrow, ELC EVEN and Jagdpanzer E100 Respectively (I'm actually really quite a fan of the Gold with the Christmas garage ). Added both to the OP And sent the PMs out. I don't think either of those fit the request ruling, especially the first one which is a remodel request rather than a skin. Though I can use that colour for the base colour, how it'll actually turn out once the metallic effect (aka GMM Edits) is applied might be different, but we'll get to that bridge when I get to that. you'd just copy and paste the "vehicles" folder from the download into your res_mods -> -patch number (atm, 1.3.0.1) and it should work. Going for Tiger II Since it's easier and also it's sexier than the Tiger I IMO. I can test making it slightly crimson if only for memes. Do they have to be just one color or can we also request logo's on them ? One colour pretty much. It's a lot easier since I just edit out the stuff like say baggage that shouldn't be painted over, slap a colour on there and done. Throwing a logo on might be possible but depends if it's something just like the Dingers logo and if it didn't want to be metallic or not and if it would actually look good by default or if I'd had to edit it somewhat to work, namely I'd have to likely edit the colours to a lighter variant since then once the metallic effect applies it would look too saturated or something like that. If I had to get into fancy patterns and stuff it'd be a real pain too. The Berlin Brigade Chieftain I did and posted in my "Soon" thread (and here to save you looking it up) took like 4-5 Nights to do since there's a lot of time spent into making sure the tiling doesn't look silly, and that's literally a pattern that's just boxes (and back then I was more interested in modding and had more time xD)! Imagine how much time it would take if I tried to say do that one German ambush camo (the one with spots) as a skin, and remember that I'm trying to accommodate a lotta requests at once. While that's less directly at you since you weren't asking this, felt like adding this part for the folks who're wondering why I'm not in favour of taking their camo pattern requests. Black T29 Done and not finalised, but Green ConqGC and Blue FV215b (183) also respectively done (the end result may end up being a different colour and with the ConqGC, I have three different versions atm). I'll upload T29 Tomorrow but the other two may have to wait until the requester is happy with the final product. I'm a tad concerned with the FV183 Though. My method to make sure my masks don't cover the exposed metal on the tanks results in some pixellation but is generally not that noticeable and with normal skins (such as my Bronze Green in the past or Polish AFV Green skinpacks) it's generally hidden when I lower the transparency of the mask accordingly. However, I don't do that with these and the metallic effect I think further makes it noticeable, not helped by the FV Especially having seemingly poor textures. Edited by gunslingerXXX, 16 December 2018 - 07:57 AM. That green ConqGC looks like a driving christmas ornament with that metallic green colour. Like those glass ornaments you see in trees. Only this glass ornament shatters others when it strikes something. 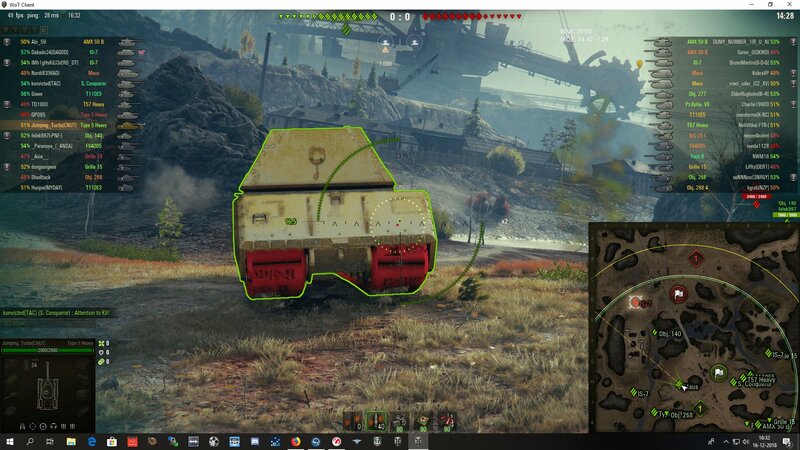 Yesterday tested the golden KV-4. Really a nice job. Fun fact, the golden skin overlay cammo paints, so I can get the cammo bonus while shining around. UrQuan had said in the Bar that he was only seeing that in replays so I wasn't concerned but seeing it in-game means it's a problem. Checking the Chassis.visual_processed though I can see the issue (or most likely the issue) so I'll fix that and update it just before I jump on. It's just that the path to the track textures got accidentally changed too (when it shouldn't as I've done nothing to them), being set to Maus_Gold_track rather than Maus_track, which is what it should be. No problem. no need to rush. I'll wait till there is an update. It is not a big problem. I like the red tho, ads to the festive holiday skin. But it doesn't always happen & seems to fix itself at times. Edited by UrQuan, 16 December 2018 - 07:17 PM. It was only a small fix anyway. Something like 6 Lines where I just had to remove "_Gold" so it correctly paths to Maus_tracks now. Dunno why it wouldn't happen everytime though, so hopefully there's no other hidden problem. 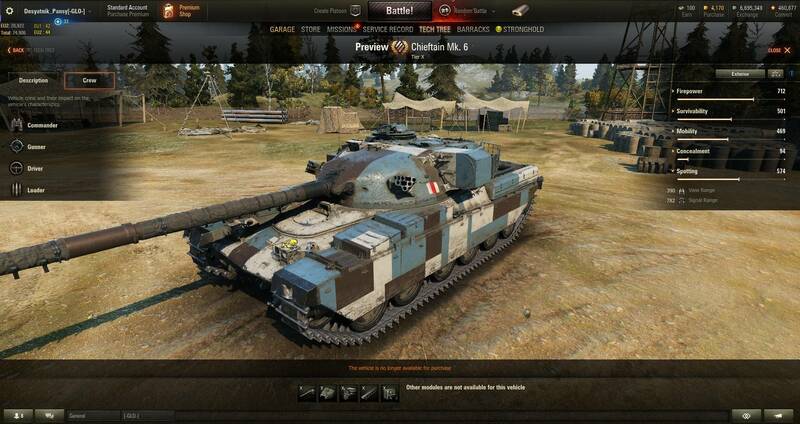 Otherwise, Black T29, Green ConqGC and Blue FV215b (183) added to the OP And PMs sent out.